As real estate in all five boroughs continues to rise, and/or get snapped up by oh-so-wonderful oligarchs, New York City’s pressure cooker reputation has taken a turn for the … banal. Don’t get me wrong; it’s definitely still a town where it’s survival of the fittest. In fact, it might be tougher than ever to make ends meet in the City that Never Sleeps. But just take one cursory glance at the chain stores, condos, and rolled ice cream popups that populate the bulk of Lower Manhattan these days and you might start to wonder why you left Topeka. It’s easy to mourn the loss of the gritty New York of yore (see: Dog Day Afternoon, Taxi Driver), but if you’re less interested in cutting-edge culture and more into finding a one-stop shop for high-stakes innovation, then NYC could be your veritable playground. Major players in virtually every industry have offices in town, from real estate and finance to entertainment, communications, and tech. The proximity of these industry heavyweights to the area’s MBA programs means that b-school students with the right amount of gumption have access that would make students in other parts of the country salivate. But ultimately someone’s got to pay the piper for that access and access alone does not guarantee a job after graduation. Luckily, we did the heavy lifting for you and found four New York-area business schools that offer the best return-on-investment for graduates. Let’s take a deeper dive in the first part of our spotlight on New York City! With 39,000 worldwide alumni, including Warren Buffet, ConEdison CEO Kevin Burke, and CitiGroup CEO Vikram Pandit, Columbia Business School delivers arguably the most prestigious MBA program on our list. With an Ivy League price tag of $71,544, the prestige doesn’t come cheap. CBS’ salary-to-debt ratio is about 1:4. Three years after graduation, the average salary is $173,888, while the average debt is $127,632. The NYU Stern School of Business is as much a New York institution as hot dog carts and impatience. Among the school’s notable alumni are PayPal CEO Dan Schulman, Nobel-winning economist Robert F. Engle III, Former NBC Chairman Jeff Gaspin, and Former Lehman Brothers Chairman & CEO Richard S. Fuld Jr. 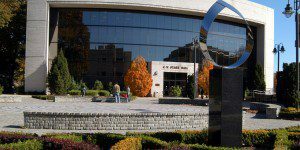 Tuition is $69,086 for the full-time MBA. Graduates reported a 1.3 salary-to-debt ratio, with average salaries of $145,999 versus a $108,567 average debt. The Baruch College Zicklin School of Business has consistently ranked as one of the best value MBAs in the nation. Just a few years ago, U.S. News and World Report ranked Zicklin first overall among highest first-year salaries compared to debt load. Zicklin graduates report a salary-to-debt ratio of 4.9 with average salaries of around $104,000 five years after graduation and average debts of approximately $14,044. 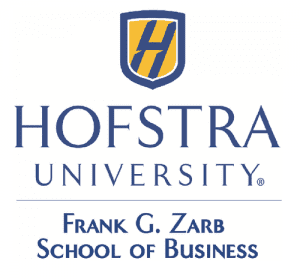 Hofstra’s Zarb School of Business, one of the most affordable MBA programs on this list, counts Cantor Fitzgerald CEO Shawn Matthews and as Hertz President and CEO Kathryn Marinello as two of its distinguished alumni. Tuition for Zarb’s two-year full-time MBA is $51,785 while the average post-graduate salary is around $64,821. According to Forbes, it takes Zarb graduates 3.8 years to break even on their investment. Stay tuned for more on the best return on investment for New York City’s MBA programs, coming soon.